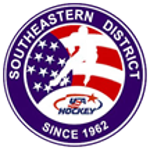 The mission of the Youth Committee is to provide an innovative grassroots foundation for the growth and development of USA Hockey, designing programs aimed at increased participation, improved skills and a responsible environment for the conduct of youth hockey. For more information on the youth league visit: www.carolinashockeyleague.com. Helpful hints and important information for creating a great youth hockey experience. Enjoyment and recreational benefits were chief among USA Hockey's Board of Directors' motivations for recently issuing new youth hockey guidelines. Registered teams play in the classifications of 8-and-Under (Mite), 9-10 (Squirt), 11-12 (Pee Wee), 13-14 (Bantam), 15-16 (Midget) and 17-18 (Midget), and USA Hockey's Youth Council wants to emphasize these benefits. The USA Hockey-recommended guidelines for youth hockey encourage a noncompetitive environment in which children can learn the basic skills without the distractions that are often associated with an overemphasis on winning. The youth hockey season is fast approaching. After your child’s experience at a Try Hockey event last year, we hope that you are interested in joining a local youth hockey program. 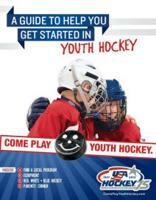 To help you and your child get started, USA Hockey has created the Come Play Youth Hockey digital guidebook. 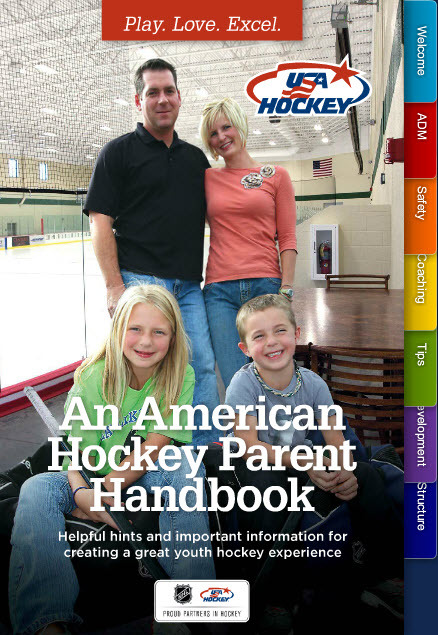 This guide will provide you with valuable information - from finding a local program to learning how to dress your child in hockey equipment! Click here to view the Come Play Youth Hockey digital guidebook. Train Your Brain. Dominate the Ice. The Hockey IntelliGym™ is a revolutionary, software-based training tool that develops players' hockey sense – the perception and decision-making skills necessary to stay one step ahead of the puck and the game. CAHA is please to announce the 2 and 2 Challenge Results for the 2017-2018 season. Associations that commit to the 2 and 2 Challenge follow a systematic year-long plan of utilizing grassroots marketing tools and national events in an effort to add two additional new players and retain two more players than their previous season's 8 and Under player totals. Congratulations to the CAHA associations that completed the 2017-18 season’s 2 and 2 Challenge! Click here to take the 2 and 2 Challenge for the 2018-2019 season. ©2019 Carolina Amateur Hockey Association / SportsEngine. All Rights Reserved.